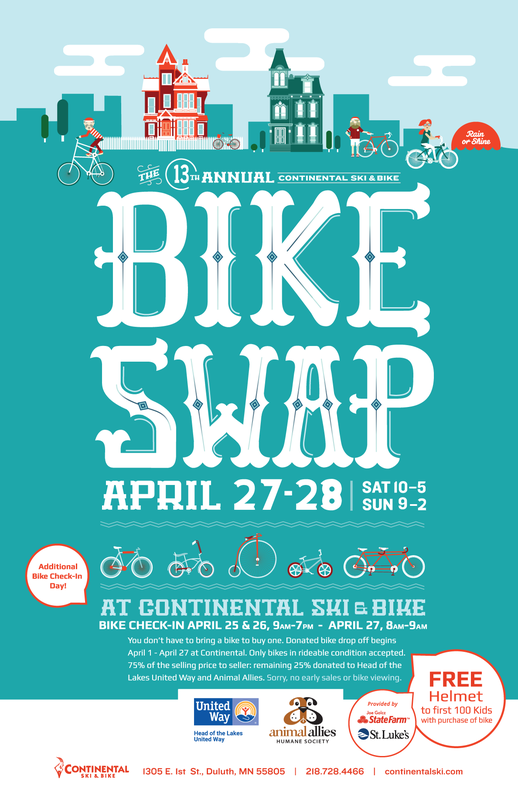 Join us for the 13th Annual BIKE SWAP on April 27-28, 2019! Due to the Easter Holiday, Bike Swap will be held on the 4th weekend of April, 2019. Bike drop-off will be on Thursday and Friday, and the sale opens to the public on Saturday, April 27th at 10:00 AM. Proceeds benefit Head of the Lakes United Way and Animal Allies. Check back for additional details!